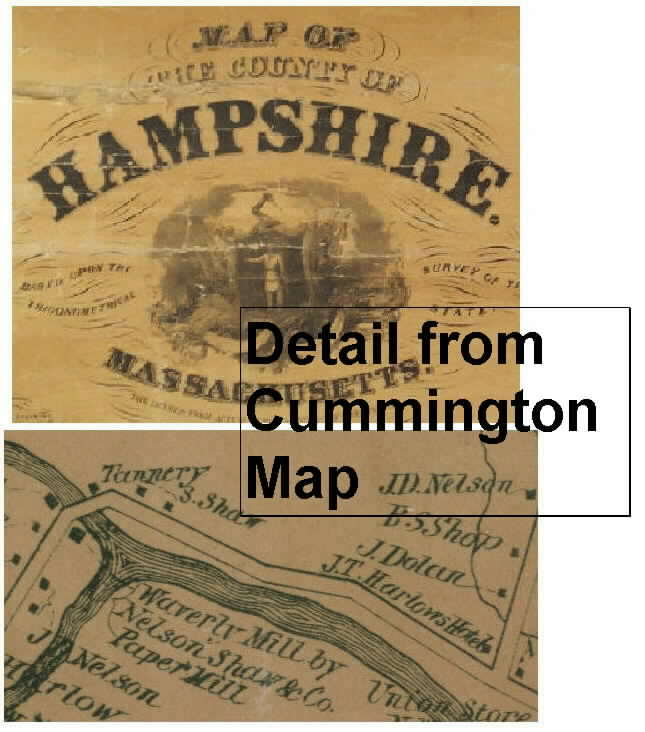 A CD ROM reproduction of the 1860 "Map of Hampshire County, Massachusetts" The original map (a large wall map) provides a complete view of who lived where in the 20 towns of Hampshire County, including 3 towns which don't exist today. (Their lands are beneath Quabbin Reservoir). 1000s of sites - homes, schools, churches and businesses- are located and named. All maps and data on the original have been scanned for this reproduction. Click here to see the Table of Contents which lists all the towns. The 1860 map was the second of H.F. Walling's maps of Hampshire County. The first, 1856, is available as a paper reprint. NOTE: All names are legible on our high quality reproduction (for sale). This free low-resolution version has greatly reduced file sizes, but demonstrates the publication format.